Basketball season is quickly approaching. Along with tryouts and selecting players for the team, if you are a coach you are likely in charge of dealing with selecting and ordering basketball team gear. You might know why it's important for you team to have matching gear, but what exactly should you order this season? 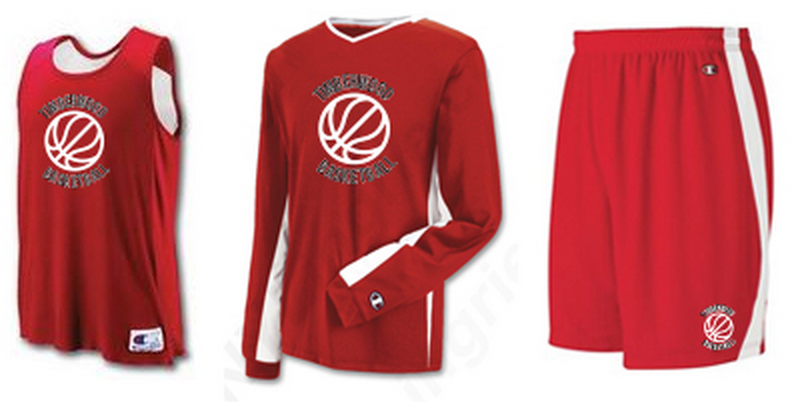 If you are a new basketball coach or are ordering new gear this season and just want to spice it up, here are some guidelines and tips for ordering what your basketball team really needs this season. Basketball jerseys that are reversible are especially great for scrimmages and drills at practice to ensure that everyone knows which side they are on. If you are buying reversible basketball jerseys for games or tournaments, your athletes will be able to wear the same jersey for both home and away games. This makes it easier on the parents too because they won't have to worry about showing up with the wrong jersey. 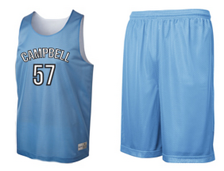 Make sure that these jerseys are constructed with a wicking or mesh material so that they are breathable and durable. The higher quality the material is, the longer the apparel will hold up. It's important for your athletes to stay warm during practice and at games, especially during the winter months of basketball season. Team warm ups are great because your athletes can wear these on the way to and from the game and on the bench,. This lets your players keep warm while still looking like a team. Aside from the cool factor of team warm ups, they also help your athletes avoid strains and tears by keeping muscles warm. It's common for indoor basketball courts to be air conditioned to keep the air temperature regulated. Therefore, you will want your athletes to warm up gradually in their jackets and pants. That way they can increase blood flow to their muscles before the game starts, which can help prevent injuries. Team duffel bags are a great option for teams that travel often for games or tournaments. Check to make sure that they are durable and designed with high quality materials that will last your players through multiple seasons. Many teams reuse their duffel or travel bags over the years by passing them down to new players as older players leave the team. This can be a great option for your team if you are worried about costs. When your team shows up to a big game or tournament with matching gear, it's intimidating for other teams because your program looks serious. This can give your players a competitive edge over other teams by boosting their confidence! It can be incredibly frustrating, whether you are a parent, coach, or athlete to deal with the many moving parts of ordering team gear. A few issues include trying to hunt down players for their money, keeping track of who has paid, going back and forth with the mom-and-pop shop printing the gear, and the team colors and branding looking different every year. This system is terrible - ordering gear for your team shouldn't be stressful, but rather a fun and exciting process for you and your athletes. An alternative solution is to use TeamLocker™. That way you can easily create your online basketball team gear shop (in less than 5 minutes), get help making sure your logo looks good, and then share the shop with your athletes and their parents so that they can order their gear online. Now that you know what basketball team gear to order and the best way to order it, get ahead of the game and open your TeamLocker™ now!